Spring. I hear there is another "noreaster" headed for the East Coast....hoping it's not too bad for them out there! We might get some rain...then it's supposed to warm up again. I can do warm :) Hoping you have a wonderful weekend - we'll be packing up for another two night stay in Madison for another Rova-T treatment. The bright spot? Our hotel has the best darned hot breakfast I've ever had in a hotel/motel....I wish I had more room to swallow more, lol! This week I have a sassy collection named All About Attitude. If you read my blog posts you know what I went thru on Tuesday because of a bad receptionist....and SHE had more attitude than needed, considering she was lying thru her teeth at the time! I did write to patient services...and they are looking into it. Nobody makes a mistake, then turns around, blames others.....and then lies right to your face about it. Not in my book. People just amaze me sometimes! 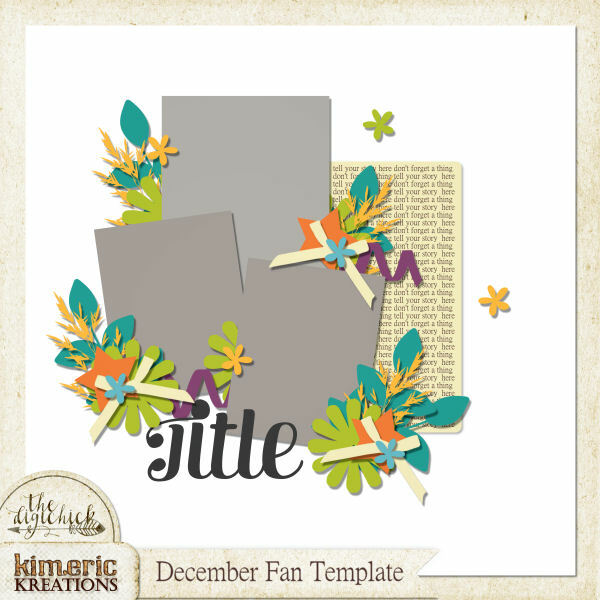 Fortunately I made this well before the appointments, lol - or there might have been some not so nice wordstrips in this new collection! Filled with shabby goodness and loads of elements and other goodies - its on sale for 30% off until Monday at midnight....and best of all - the Going Going GONE sale is still on, too! As always I'll have some wonderful clusters to share too - starting tonight! I have a HUGE sale in the Going Going GONE! 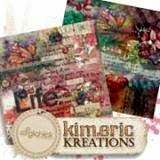 Kimeric Kreations section of the shop! Save at least 60% - and points are allowed. If you run into trouble with points, let me know...I could have forgotten to fix a product or two! and finally, I have a beautiful cluster that Jenni made using the new collection to share with you tonight! Jenni, this is lovely. Thank you so much. Kim, enjoy the weekend with Eric. As always, thank you for the share.